Many people use makeup and various tools to decorate and lengthen their eyelashes. People try ways to help them grow like applying castor oil for your eyelashes and test out hair care recipes that may work to beautify them. Long and thick lashes can definitely make you feel beautiful and it can be very helpful to have as well. Your lashes can serve some useful purposes beyond merely improving your looks. Eyelashes help to protect your eyes from dust and sand. Your lashes sweep these particles out of the way to prevent any eye irritation. There may be some instances where you see some lash hair fall off from wiping away your eye makeup or maybe from scratching your eyes too much. Just like the hair on your head, you lose eyelashes every day. An average person with no health complications can lose 1-4 lashes per day and they grow about one centimeter every 2-4 weeks. You may think that thick eyelashes are hard to achieve since you lose lash hair every day. The thing is, your eyelashes can grow back too. Growing out your lashes can be really hard and tricky but it is not impossible. You just need determination, patience, and castor oil to get the job done. Castor oil is not really a secret anymore to lash hair growth. Many recipes involve castor oil for eyelashes on the internet. There are people who have tried castor oil on their lashes and have proven its effectiveness as well. Many people have used castor oil to make their lashes look pretty and flirty but this oil has more uses than just for beautifying. It can do so much more for your lashes and you are about to find that out. Castor oil is extracted from the seeds of the castor plant. 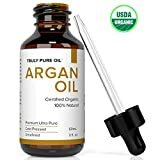 This oil has many uses in medicine and beauty. Its first use dated back to ancient Egypt where it was used to light up lamps and cure illnesses. Ever since that day, castor oil is known as a natural remedy that effectively treats common diseases. This humble oil has incredible healing properties that not only work to heal the sick. Castor oil enhances your skin, hair, nails, brows, and lashes. There are no studies confirming castor oil for eyelashes but there are claims from people who have used it. Castor oil contains essential fatty acids that help promote eyelash growth. One of these fatty acids is Ricinoleic acid. Ricinoleic acid is 85%-95% of castor oil’s overall composition. This omega-8 fatty acid provides incredible nourishment to your lashes. Using castor oil on eyelashes can help speed up their growth. It takes about 3-6 weeks to grow your eyelashes back when you use castor oil every night. Is castor oil safe to use on eyelashes? Castor oil is generally safe to use on eyelashes. You must take extra precaution when applying the oil onto your lashes though. Be sure that you apply the right amount of oil so that it would not get into your eyes. In the event that it does, wash your eyes with water immediately. 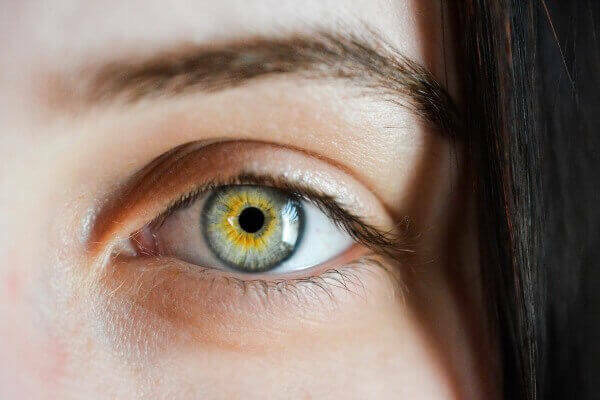 If your eyes are still red and itchy after washing it, you must consult a doctor or eye professional before continuing your use of castor oil on eyelashes. It is best that you must test the oil on your wrist 24 hours before applying it on your lashes. This prevents any allergic reaction from happening. Blepharitis is inflammation of the eyelids. It is a common cause of sore, red eyelids, and crusty eyelashes. Blepharitis usually involves the part of the eyelid where eyelashes grow. Blepharitis commonly occurs when tiny oil glands clog the base of the eyelashes. This leads to irritated and red eyes. It usually does not cause permanent damage to your eyesight and it is not contagious too. If you suffer from Blepharitis, apply 1-2 drops of castor oil to your infected lashes every night. The unsaturated fatty acids of castor oil can help your eyelids retain moisture. Castor oil has anti-inflammatory and anti-oxidant properties that help cure the dry and infected parts of your eyelashes. Trichiasis is a common eyelid abnormality where eyelashes are misdirected and grow inwards toward the eye. Anyone can develop trichiasis but it is more common in adults. Trichiasis can be caused by an eye infection and inflammation of the eyelid. Applying castor oil on eyelashes can help ease the inflammation with its soothing properties. The antibacterial and antifungal properties of the oil can help with the discomfort and irritation. Consult a doctor or an eye specialist before applying the product. Distichia is an eyelash that arises from an abnormal spot on the eyelid. This abnormality affects humans and dogs. People who suffer from this disorder have soft lashes that irritate the eyes. It causes your eyes to tear and squint due to inflammation. Castor oil can reduce the inflammation when applied to the affected area thanks to its antibacterial and anti-inflammatory properties. Castor oil’s high Ricinoleic acid content can help stimulate your lash hair to grow outwards for proper growth. Madarosis is a condition that results in the loss of eyelashes, and sometimes eyebrows. Madarosis is Greek for the word “Madao” that means “to fall off.” This eyelash disorder is not critical or severe. The main symptom and sign of Madarosis is the loss of hair from the eyelids, eyebrows, and eyelashes. It can cause your eyelids to grow swollen, itchy, and red. Applying 1-2 drops of castor oil on your eyelashes every night can help you grow back your lashes. The antibacterial and anti-fungal properties of castor oil can relieve the itchy sensation on your eyelids. A Corneal abrasion is one of the most common eye injuries. A scratched cornea often causes discomfort, red eyes, and hypersensitivity to light. Dry eyes can increase your risk of a corneal abrasion. If your eyes dry out, your eyelids may stick to your cornea. Dry eyes can cause your eyelashes to fall out due to lack of moisture. Castor oil for eyelashes can help hydrate your lashes when applied every day before going to sleep. Preventing your eyes from going dry can protect your eyelashes from conditions like Corneal abrasions. Castor oil can help cure these eyelash disorders because of the oil’s potent composition. Just remember to consult a doctor or an eye specialist before using castor oil on eyelashes for safety. Castor oil for eyelashes is naturally thick in consistency. This makes the oil hard to absorb when applied to some parts of the body, including your eyelashes. To make castor oil easy to absorb, it is best that you combine it with essential oils. If you are looking for an oil that can help do the trick for your eyelashes, use argan oil! Can you use argan oil with castor oil for eyelash growth? Of course, you can! 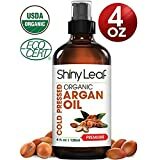 Argan oil is naturally rich in vitamin A and fatty acids. It is a powerful moisturizer to use on your eyelashes as it helps your lash hair stay hydrated. Combining this oil with castor oil for eyelashes can surely enhance the effects of castor oil on your lashes. This duo has all the essential vitamins and fatty acids your lashes need to grow faster and fuller. Argan oil will not only help your eyelashes, this oil can help the hair on your head to grow strong and thick too. Check out this page to find out more. Mix all oils into a dropper bottle or small container. Apply small amounts to the base of the eyelashes every night before bed. You can use your fingers or a mascara wand for better application. 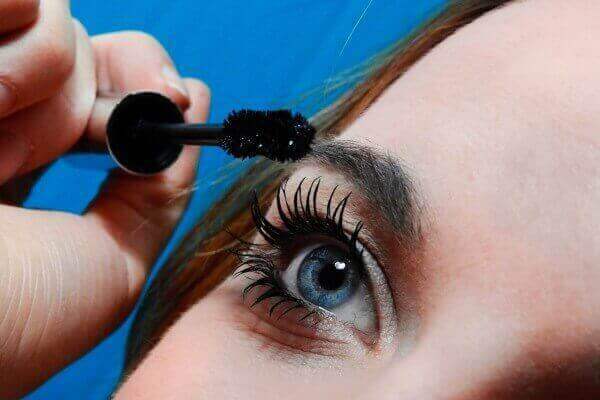 Dip a clean mascara wand into the mixture. Make sure that the oil is not too much when applied to eyelashes. Gently brush onto lashes from root to tip. You can also use a Q-tip to brush the serum across your lash line as well. Wash off the mixture the following day with lukewarm water. First, prick one vitamin E capsule with a safety pin and squeeze out the oil into a clear empty mascara tube. Next, transfer equal parts of castor oil, argan oil, and lavender essential oil into the tube. Seal tightly and roll the tube between your palms to mix up the ingredients. Apply the coat 1-2 times a day. Do you still want more recipes for lash hair growth? Check out this page for effective argan oil recipes that help improve your eyelashes. Lemon helps protect, condition, and lengthen eyelashes. You can enhance the effects of castor oil by adding lemon essential oil or lemon peels to give extra antiseptic and antimicrobial properties for your eyelashes’ added protection. You can apply green tea onto your eyelashes before applying castor oil. Simply dip a cotton ball in green tea and smear it over your eyelashes. The tea will stimulate growth and help clean the follicles for eyelash hair growth. After applying castor oil on eyelashes, brush lash hair with a mascara wand or a lash comb. These tools stimulate growth and promote healthy lashes. Brushing helps distribute the natural oils along your lashes to help keep them strong and long. Avoid using makeup and eyelash extensions too. If you really want to have naturally long and thick eyelashes, you must look for natural alternatives as well. Castor oil for eyelashes can be your starting tool for longer and thicker eyelashes. Remember that the growth of your eyelashes depend on you. You need to gather enough patience because your lashes need time to grow. You need dedication when applying castor oil on your lashes every night as well for better results. Some people believe eyelashes have special powers to grant wishes. When an eyelash falls out and lands on the cheek, some people will grab it with their fingertips and blow it away after they make a wish. However, this is not always the case. If you notice excessive fallouts of lash hair, you must consult a doctor immediately for solutions to prevent severe eyelash complications. 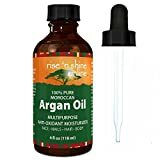 If you want to know more ways to use argan oil and castor oil for your eyelashes, why not check out this page for ways to use argan oil for lash hair growth.